The Magic Gang yet again proved why they are ones to watch in the indie scene, delivering a live performance that was high in energy, emotion and sheer joy. The Magic Gang have an uncanny knack of putting a smile on anyone’s face. Combining feel-good indie with radio-friendly rock, electrifying guitar riffs with the kind of barbershop falsettos The Beach Boys would be proud of, this effervescently exciting group of four friends from Bournemouth came to the south coast for a rapturous homecoming last night, and boy did it delight. But first, the build-up. Having toured with Circa Waves and Wolf Alice in their formative years, the gang are no strangers to the support slot, and passed the torch in secure style to three more of the most exciting upcoming bands in indie and rock. Trust the early-evening roadworks on the journey into Bournemouth for us to miss opening act Leeches, but the welcome presence of Sports Team and The Orielles provided a fitting soundtrack to get acquainted to the venue as the expectant crowd slowly reached a fever pitch in anticipation of Britain’s next big indie band. 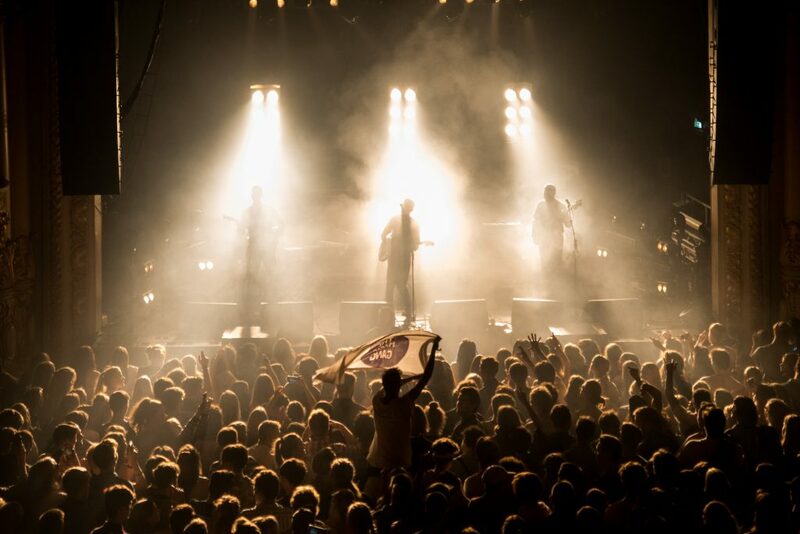 A pleasing mix of intimate and open, Bournemouth’s O2 Academy sports something for everyone – and there was everyone. It’s telling of the wide appeal of The Magic Gang that the crowd included every demographic under the sun, from old mods lapping up the band’s ’60s-revival sound to university first-years adding an extra night out to their freshers’ week activities. Those up in the front row could get within touching distance of the stage – and did, multiple times – while those at the back could sit and bob along with the action from afar – of which, there was plenty. Sports Team delivered a solid pre-show performance, with hit single ‘Kutcher’ standing out as a highlight, but it was The Orielles who truly stole the warm-up. Showing off tracks from their 2018 debut album Silver Dollar Moment, they enthused the crowd with their palpable love for their music. Saving the best for last, ‘Sugar Tastes Like Salt’ gave us an eight-minute epic tour-de-force of funky guitar riffs and funkier drums made all the more ecstatic by how lost in the music guitarist Henry Wade appeared to be. But what everyone in the 1,800-person venue truly came to see was The Magic Gang, finally embarking on their second UK headline tour and bringing their effortlessly upbeat brand of feelgood indie to a spectacular homecoming on the south coast. Weaving tales of love, dreams, summertime joy and yet more love, the gang played the entire tracklist of their debut album and more besides. Literally emerging from smoke and opening with an electric performance of ‘Alright’ – featuring that euphoric guitar solo from Kristian Smith – we knew from the get-go that we were in for a treat. 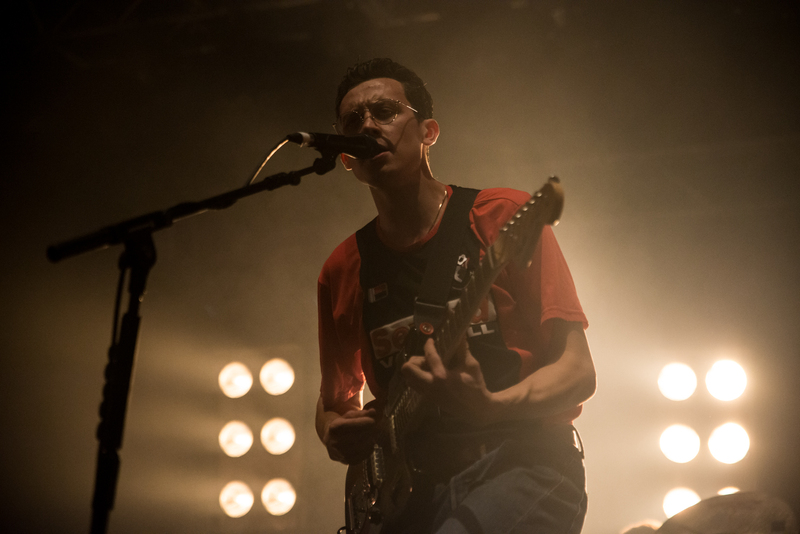 The Magic Gang are natural performers, and in the O2 Academy on Tuesday night it truly showed. They clearly love playing together in front of a crowd, using the stage as a canvas to paint a scene of pure musical joy in which the audience is fully included. More than once the instrumentation was toned down to allow us to sing the chorus at the top of our lungs: you’ve never truly experienced ‘All This Way’ until you’ve sung it with a thousand other people and frontman Jack Kaye cheering at you to keep going. Then there’s the gang’s control over the tempo of the night. Just as we felt we might be left exhausted from upbeat banger after upbeat banger, Kris or Gus would slow things down a bit by taking to the piano left on stage to sing a heartfelt ballad in ‘I’ll Show You’ or ‘Take Care’, the remaining members of the band taking this as an opportunity to take a break and simply soak up the atmosphere. But when they wanted to get going, The Magic Gang could certainly get going. ‘Caroline’, by far my favourite track off their self-titled debut, was given the hard-rock treatment with dynamic, explosive guitar riffs and Paeris Giles drumming the beat of his life. It was the cue for the first of several mosh pits throughout the evening, the crowd drawn in by the gang’s charisma and the music’s sheer, electrifying beauty. Of course, there had to be an encore. The O2 Academy providing the band’s homecoming, we were treated to an emotional introduction by Paeris, explaining how he played his first ever gig in these arches when he was just 13, before a heartwarming performance of EP Three closer ‘Life Without You’. But this being The Magic Gang, there could only really be one song to close the evening off with. Warming up with sinister drums and monochrome strobes, the gang lashed into an impassioned performance of The Beach Boys tribute song ‘All That I Want Is You’, wearing their hearts and their influences proudly on their sleeves. And with that, the best live performers I have ever had the pleasure of seeing abruptly left the stage, bringing us back to reality from the dreamland they had enchanted us in for the last 75 minutes. A truly magical performance of heart, character and feelgood rock delight. The Magic Gang are currently embarking on their autumn headline tour. You can book tickets here. See images of their Bournemouth performance, taken by The Edge‘s Peter Walker, below.